During our homeschool learning, I try to make sure we get some geography into the mix. Sometimes I’m better at doing this then can be the case. But, I love having the boys learn about far away places and cultures. 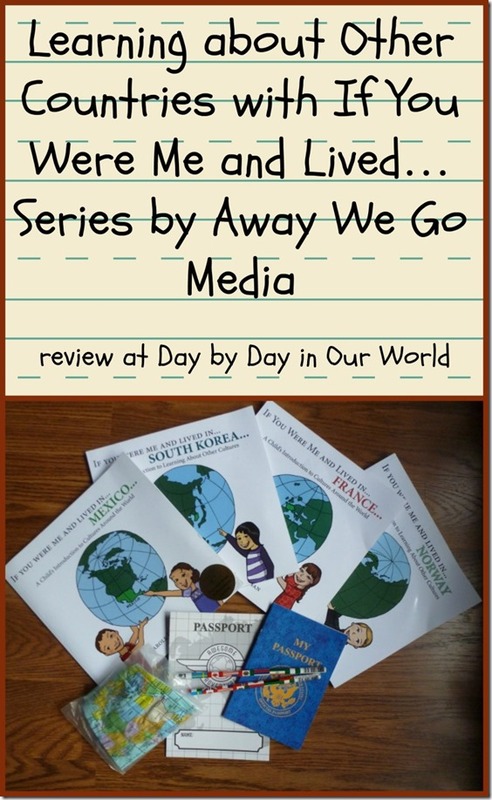 Carole P. Roman with Away We Go Media sent us the current set of If You Were Me and Lived books that have been released to review. She also included a few ‘goodies’ like an inflatable globe, pencils, and passports to expand the fun of the titles. Each title is currently selling for around $9 a piece. These books have the subtitle of “A Child’s Introductions to Cultures Around the World.” For the particular country of focus, the reader will find several facts about the country (e.g. what kids do for fun, landmarks, or what foods they eat) as well as seeing that there are similarities between cultures, too. The books are geared for pre-K through age 8 children. As a parent who wants her children to learn about other cultures as well as appreciate the differences and similarities, these books are a great tool to help us reach that goal. It is actually my pre-school aged son who’s enjoyed these books the most, which is not surprising as he is in the target audience. His older brothers will read to him and in the process soak up a bit of the information. The illustrations are cute and appealing to younger elementary aged children. There’s enough information presented to educate the kids on the particular country, but not so much to overwhelm them. What I am hoping to do over the winter time (since we’ll be at home more) is to have these titles be the launching point for some dinners from around the world. 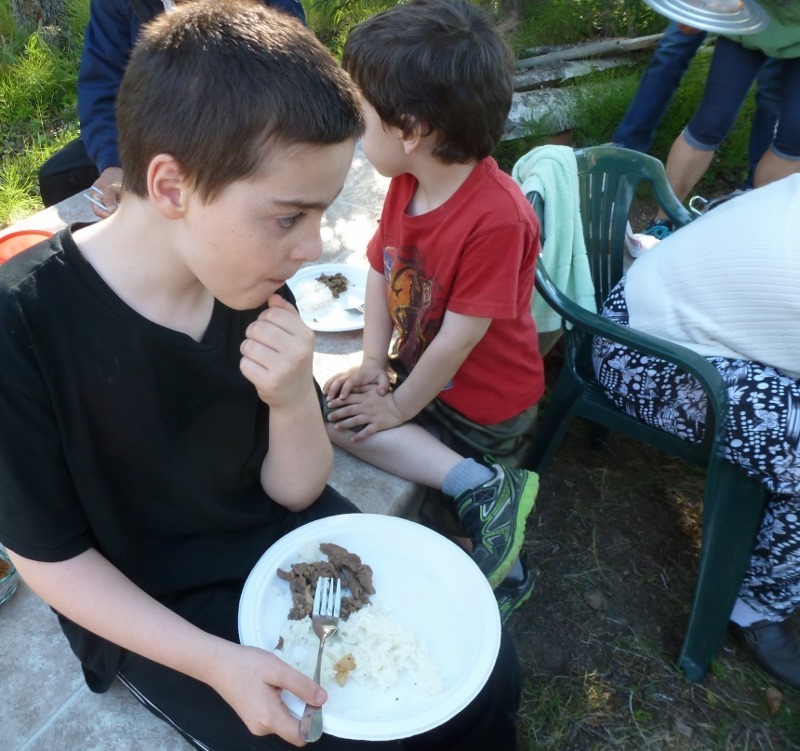 The boys are familiar with Americanized food that is labeled as Mexican, but not dishes that are truly authentic. And, we were blessed to have a small sampling of Korean food this summer which showed us that we really want to experience more from that culture.